Avocado Tuna Salad, So Yummy & Satisfying You'll Crave It Every Day! Looking for a new favorite recipe? This Avocado Tuna Salad has a simple yet extraordinary combination of ingredients that will satisfy the toughest critics! The creamy and cool avocado chunks, light and crispy cucumbers, fresh and flavorful cilantro, zesty lemon juice and sweet red onions join to create a truly addictive dish. 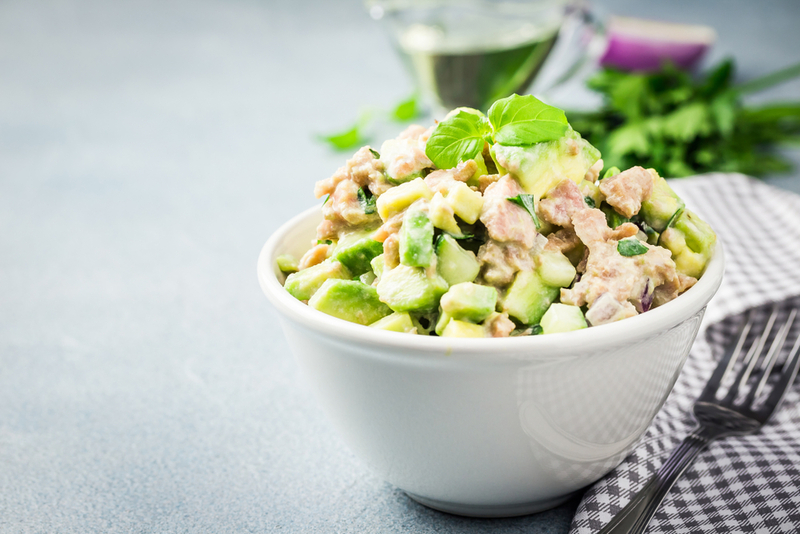 With its delicious flavors and succulent textures, Avocado Tuna Salad is an instant hit. It only takes 10 minutes to make. You will love this easy and delicious recipe so much you’ll make it for occasions of all kinds! From weeknight dinners to potluck parties, Avocado Tuna Salad is always a good idea. Anyone who eats it will be hypnotized by the incredible juiciness and flavor! Avocado Tuna Salad is the definition of satisfying. You can enjoy it as a side dish — or you can even devour it as entree thanks to the high amount of protein! It’s light yet filling, and the avocado gives it an irresistible creaminess that puts mayo to shame. Drizzle salad ingredients with 2 Tbsp lemon juice, 2 Tbsp olive oil, 1 tsp salt and ⅛ tsp black pepper (or season to taste). Toss to combine and serve.